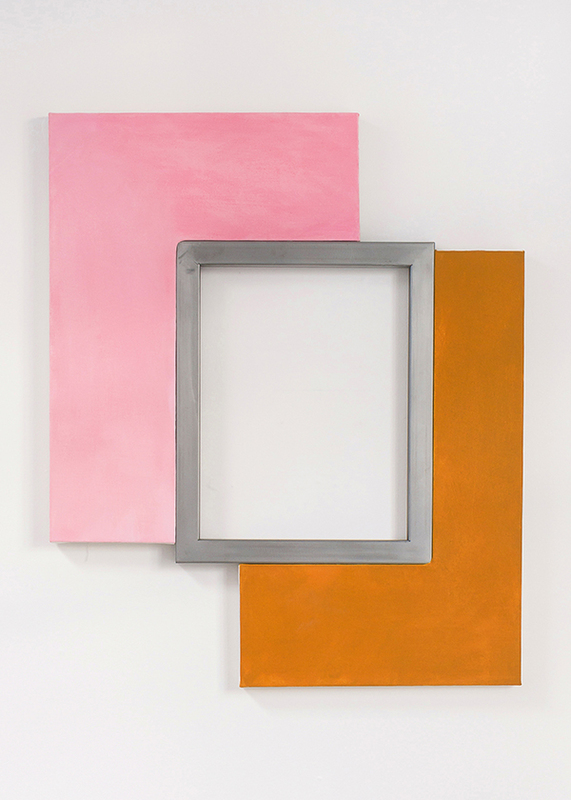 Acrylic and oil on shaped canvases, steel. Lana Williams is an Oakland-based artist and 2013 MFA graduate of the San Francisco Art Institute. Williams has shown at galleries in San Francisco, Oakland and New York. She was recently featured on KQED Arts in an article, “Bay Area Painting Right Now: Lana Williams Breaks the Rules.” Her work has also been written about by SFAQ, Curiously DIrect, and the East Bay Express. While Williams' abstract paintings are influenced by Abstract Expressionism and Minimalism, her use of a range of new materials, from smoke bombs to dye and plaster, and her play with shaped canvases connects her work to the field of expanded painting and to contemporary painters like Sarah Cain, Noam Rappaport, Keltie Ferris, Matt Connors, Liam Everett, and Mary Heilmann. At the same time, the work's refusal to adhere to the rules is a kind of proposition for us to break out of expectations that can be limiting. Her works often have titles such as "Pose," referring to the ways paintings perform, but also how we perform.